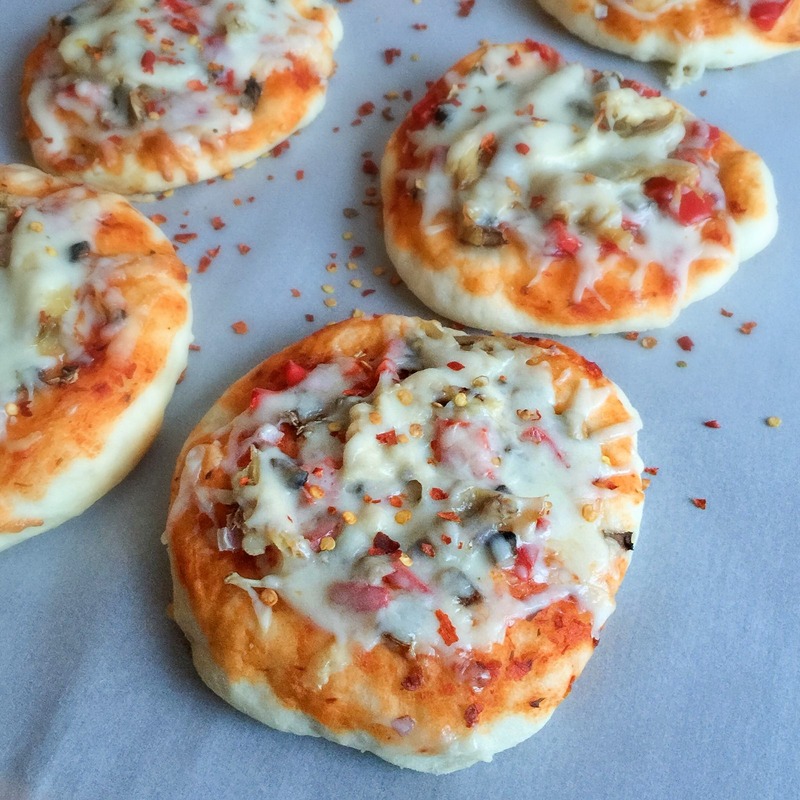 Pizza is one of our favorite dish. I make atleast thrice in a month. 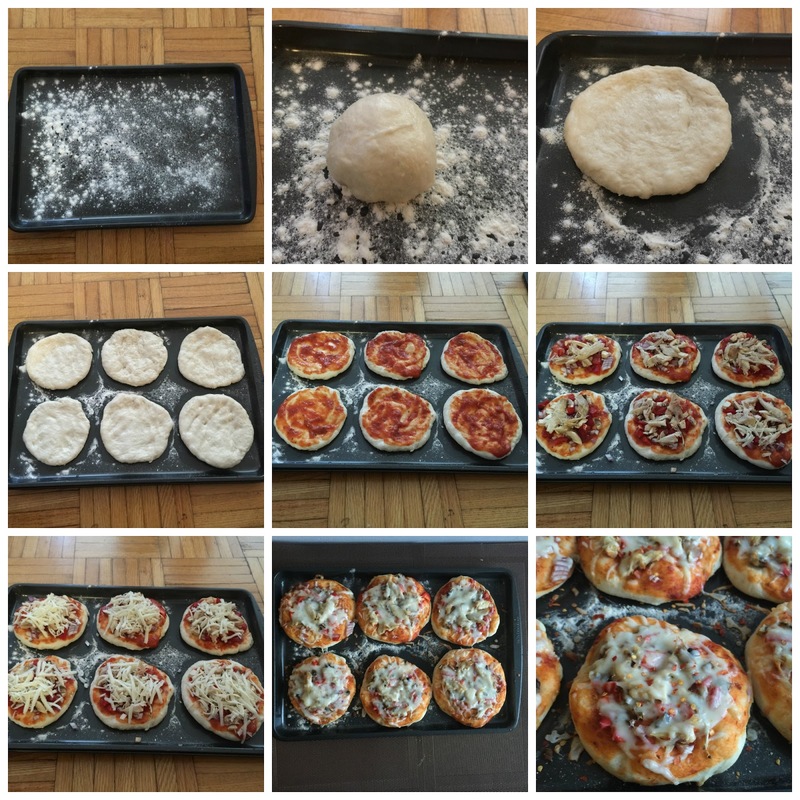 I have shared some pizza recipes in my blog. This recipe is foolproof recipe for making pizza dough. The crust is crispy bottom, soft and fluffy in texture. I added chicken, mushroom, onion and bell peppers for toppings. It was yumm. Try this no fail recipe and let me know how it turns out. In a small mixing bowl, take water, yeast,sugar,salt and oil. Mix and let it sit for 5 minutes or til it become frothy. Take APF in a large mixing bowl, make a well in the center. Pour the yeast mixture into it. Mix all well together. 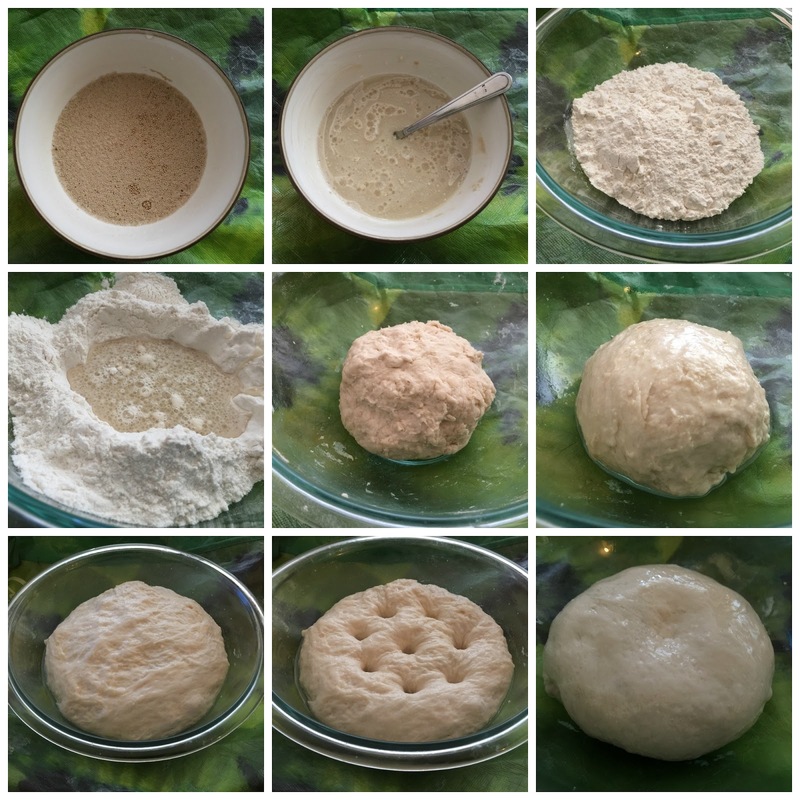 The dough with be sticky and soft. Add some oil in dough and brush the side of bowl. Cover with plastic wrap and let it sit for 1 hour. Once it doubled the size, poke the dough and knead for 2 to 3 minutes. After the resting time, preheat oven 175 C.
Take a small portion of dough, Flatten it on the tray and shape the dough into small disc shape. Do the same for rest of the dough. Spread the tomato sauce on all the pizza. 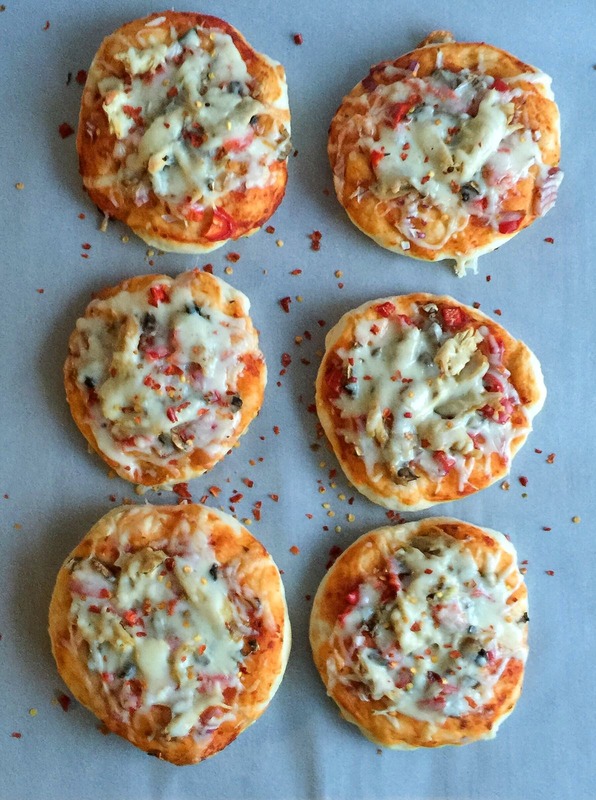 Add on your favorite toppings. Spread the mozzarella cheese on it. Bake for 20 minutes or until the base crust turn to golden brown. Sprinkle chili flakes and serve hot. I tried it came good seems ur step didnt show when to add water? 1 packet dry yeast = how many grams? how much yeast we need to add?